All Connective Corridor streetscape improvements in the public right of way or on City owned property are owned by the City of Syracuse. Improvements to Onondaga County owned properties are owned by the County. Improvements to private properties are owned and maintained by the private property owners. Syracuse University does not own or have responsibility for maintain these public improvements. The Downtown Committee of Syracuse, Inc (a special assessment district) provides a series of environmental maintenance and beautification services to an area bound by Interstate 690 to the North, Interstate 81 to the East, Adams Street to the South and Onondaga Creek to the West through a Business Improvement District. These include flushing sidewalks in warmer months, providing litter control, maintaining trees, tending hanging flower baskets, repairing street furniture, removing graffiti, mowing grass, cutting weeds and trimming hedges, managing the downtown watering contract, removing gum from sidewalks, and organizing annual cleanup days. For more information about services provided through the BID: downtownsyracuse.com; mail@downtownsyracuse.com; 315-422-8284. Similarly, the Crouse-Marshall Business Improvement District (a special assessment district) was formed to maintain improvements and address similar issues and concerns in the area of University Hill bounded by Irving Avenue, Waverly Avenue, University Avenue and East Adams Street. For more information about services provided through the BID: crousemarshall.com, info@crousemarshall.com; 315-475-7244. Note that all sidewalks are the legal responsibility of the property owners which front on the sidewalks under applicable City local laws, ordinances, and special acts. The legal plowing responsibility of the sidewalk and keeping sidewalks clear remains with property owners. • Installing replacement benches and furniture in partnership with the Downtown Committee of Syracuse, Inc.
Green infrastructure maintenance to Connective Corridor improvements through an underlying intermunicipal agreement between Onondaga County/Save the Rain and the City of Syracuse. Syracuse University maintains the rain gardens in front of SU Drama/Syracuse Stage properties on East Genesee Street. 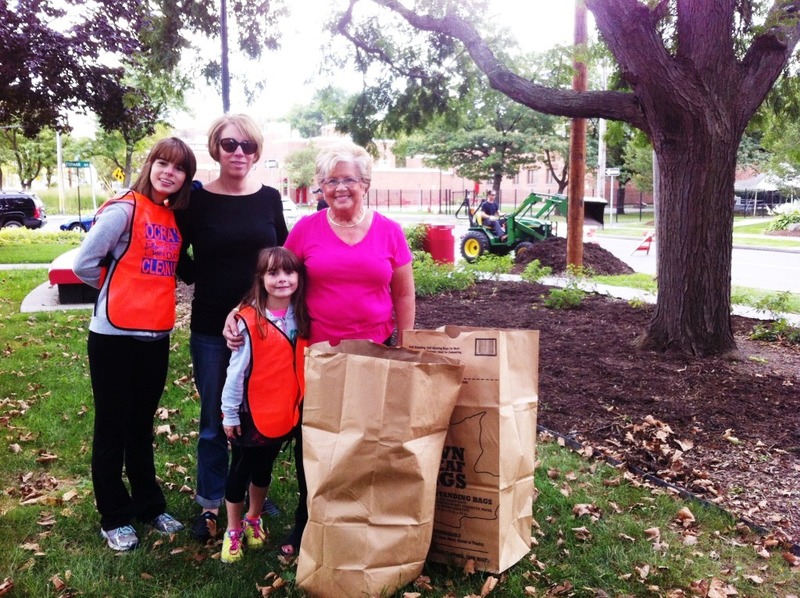 Forman Park is maintained through informal “Adopt-A-Park” volunteer efforts by the Syracuse and CNY Police Retirees Association. 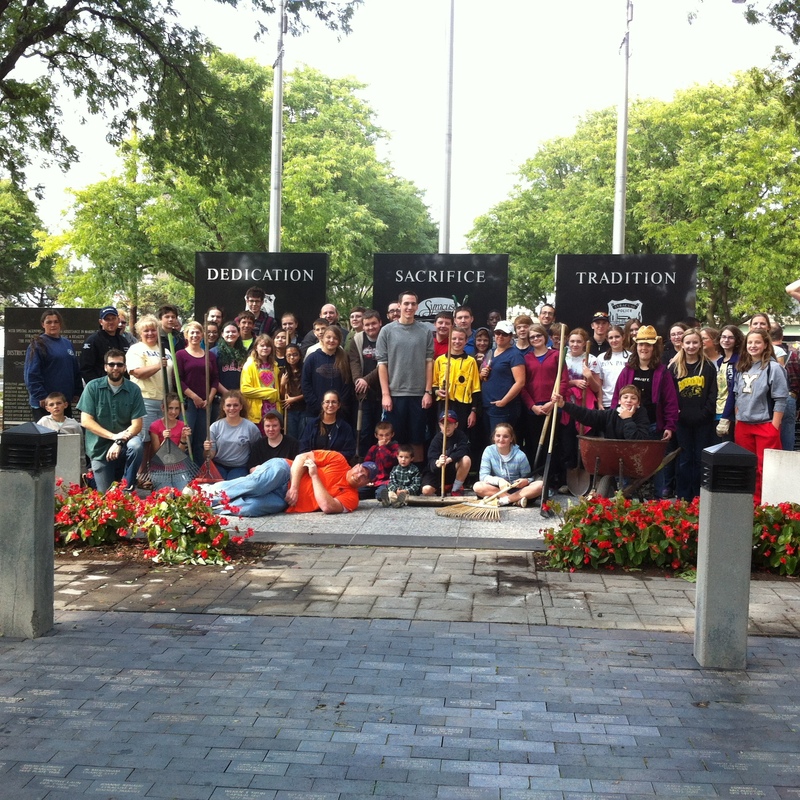 The group also sponsors programming and special events in the park which is home to a beautiful police memorial. The Association is affiliated with the United Police and Fire Retirees Association of NYS. The group works with the Connective Corridor to host monthly clean-up days from April to November. 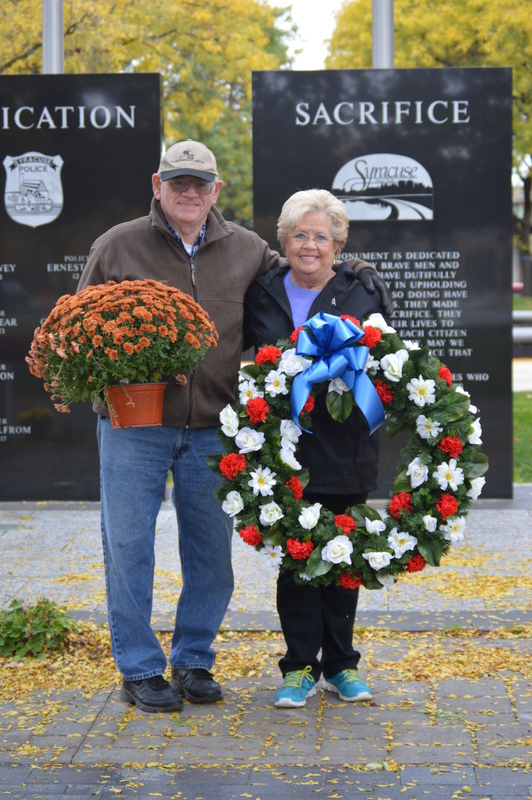 Police Retirees also supply beautiful seasonal decorations for Forman Park such as wreaths, ribbons and roping, and have continued to expand the memorial garden with seasonal annuals such as lovely mums. Donations are very welcome for these annual plantings. The Police Retirees have partnered with the Corridor on a Red Bulb Project, with thousands of red tulips planted in the areas around Forman Park. The bulbs were purchased by the Corridor from the Westcott Bulb Project. Syracuse University (through Connective Corridor grant funding) has allocated a $500,000 capital fund to the City of Syracuse for purchase of equipment necessary for maintenance services provided in city agreements, as well as replacement reserve for street furniture and fixtures, as outlined in a MOU between the City of Syracuse and Syracuse University. These allocations will be jointly made by the City of Syracuse and Syracuse University through the Connective Corridor.